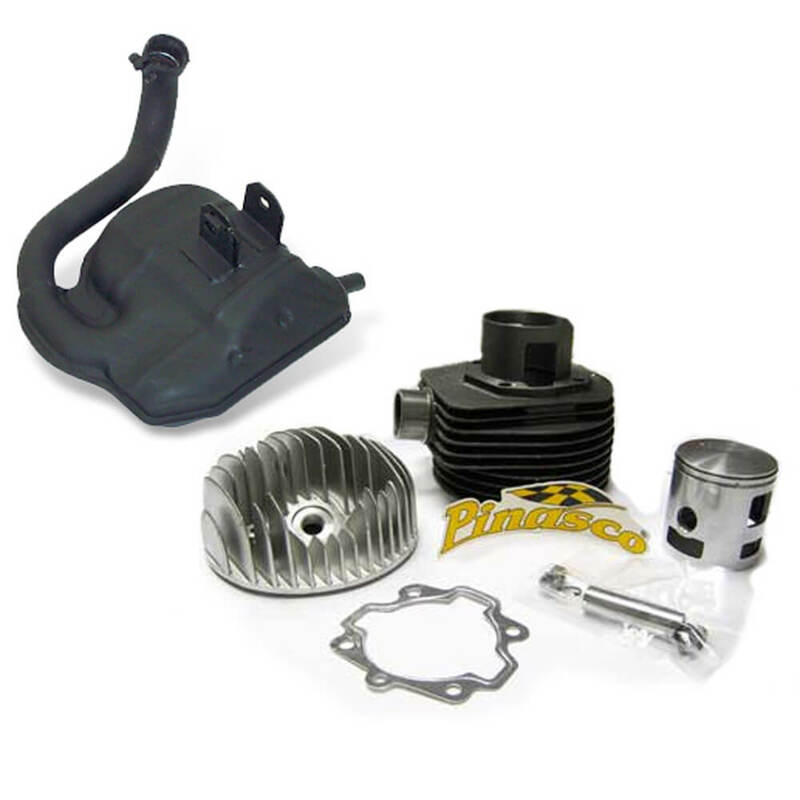 New from Pinasco comes this cast-iron performance kit for 2-port largeframe vintage Vespas. No longer do you have to mess with cutting extra ports or custom base gaskets! Bolt this on to your VNB, VBB, GL, Early Sprint/Super/GT and unleash the power! This will boost your displacement to 177cc (for all models) and give better porting for an engine that breathes! This is the ONLY kit on the market for 2-port largeframe Vespas! The non-catalyzed sport pipe gives a good increase in power and torque, especially in the midrange. Improved acceleration and better power for holding speed up hills, into the wind, and with a passenger, as well as a slight improvement in top speed. Sounds great too! Increased power in the mid range- strong crisp sound (sound equals safety) As always, you MUST tune your carb and up jet to ensure maximum performance and protection of your top end. All running in methods should be applied.